I’ve been a prenatal yoga teacher since 2001, when I fell in love with the opportunities this time offers us to transform our lives, connect to our inner power and wisdom, and become the person we want to be. 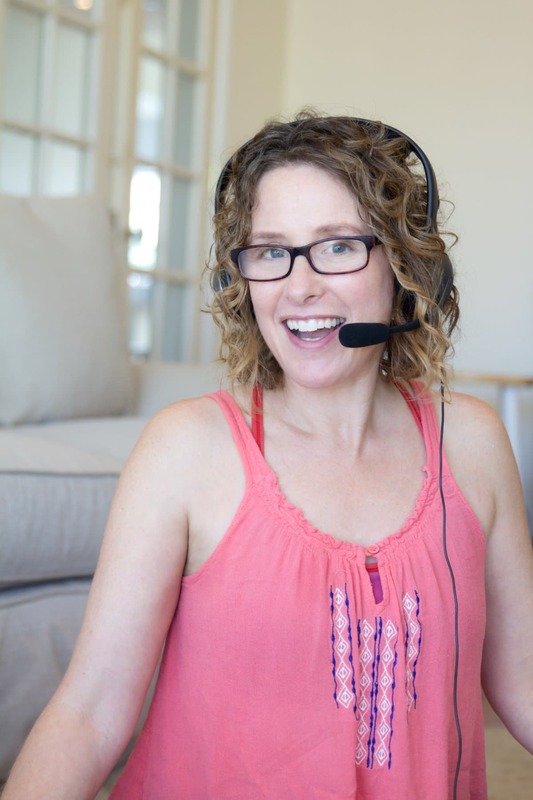 As a lifestyle educator, transformational group facilitator and prenatal yoga teacher trainer, I help moms and moms-to-be change the challenges of this time into ways to discover their own possibilities. When I became pregnant, I loved being part of a community of other pregnant women in our classes. But when I became a mom, I realized that the moms were scattered everywhere, and it was too hard to drive so far with baby to get together – and I needed support more than I ever had in my life. I had worked in a hospital setting for six years as part of my Masters in Exercise Science, developing and running a group visit and prenatal yoga program. Our clinical study looked at the three most loved parts of prenatal yoga: relieves aches and pains, helps us let go of stress and feel optimistic and happy, and gives us a support system of experts as well as other moms and moms-to-be. In 2009, I founded Ma Yoga® for Pregnancy, Motherhood & Beyond to provide these benefits to as many mamas as possible. Ma Yoga is an internationally registered prenatal yoga school and global community that trains teachers to inspire, guide and support moms and moms-to-be, as well as help them start their own “Mama Circles”- yoga classes for moms and moms-to-be – in their own neighborhoods..
Once we had more than 10 locations in Southern California, the word spread and moms-to-be wrote to us from all over the country – and even the world. While we know that in-person yoga is more effective than online, we also know that many women don’t have these classes in their area; they can’t afford them; or they can’t afford childcare to leave home and go. With the help of the Ma Yoga teachers and their community of experts, I started Ma Yoga Living – online yoga and education for pregnancy, motherhood and beyond in 2016, to try and bring the benefits of the Ma Yoga to women whereverthey are. 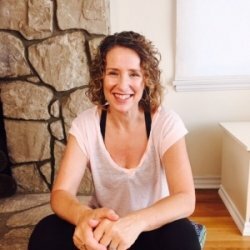 The pregnancy and lifestyle experts in this supportive community are Certified Ma Yoga® yoga teachers, doulas, midwives, nutritionists, OB/Gyns, pediatricians, coaches and of course lots of moms and moms-to-be. 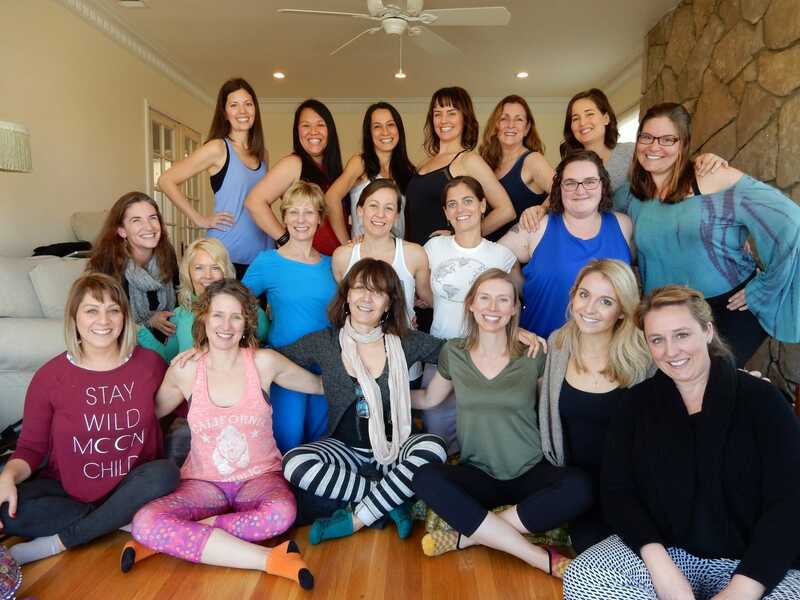 All the practitioners in the Ma Yoga Living community share a passion for helping mamas become their authentic, divine goddess “Ma” Selves, through yoga, education, and support. I am so grateful to be able to use birth as my guru, and continue to learn how to co-create the life I want to lead, and learn to nurture possibility into fruition. And I’m so excited to connect to you and mamas everywhere in the Ma Yoga Living Room!